There is no way you can visit Montgomery and not see this next major Civil Rights landmark, the downtown hotspot known as the Montgomery Rosa Parks Museum. This museum, located on the site of the Old Empire Theatre (site of Parks’ famous 1955 stand), is a major bright spot in the cities revitalization project, the site drawing in crowds upon crowds of eager history lovers daily. 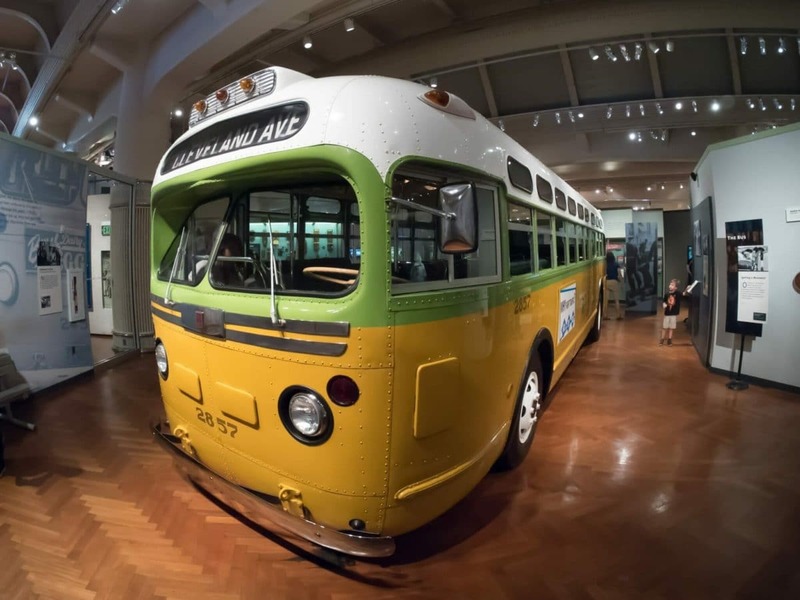 Learn all about the people and events surrounding the infamous Montgomery Bus Boycott here, the entire museum holding permanent exhibits, a children's wing, a time machine, classroomes, archives and libraries, and even a large auditorium. The interactive museum islocated on the first floor of the three floor building, the 7,000 square feet inside holding six very different, very distinct exhibit areas, each are doing it’s part in telling the story of Civil Rights Soldiers. Most groups spend around two hours here seeing everything, the entire site allowing you to see such artifacts as a restored 1955 station wagon, the famous bus replica, and even original documents o the era provided by the city. Head to the Children’s Wing to learn all about Rosa Park’s life, as well as the earlier struggles by such people as Dred Scott, Jim Crow, and Harriet Tubman. The time machine will take you to the early 1800’s, the early Jim Crow era in which segregation and social/legal challenges were a norm for those like Ed Nixon, Fred Gray, and Plessy. If you have enough time try to make it up to the second floor research center and learn more in depth facts about the events of this important time in America’s history.